To ensure the best results, clean your metal of all lacquer, oil, grease and wax. JAX manufactures metal cleaners that are optimal for prepping your metal, but there is no one cleaner that will guarantee perfection. Your choice of cleaner depends on what you are trying to remove from your metal. Regardless of what you use to clean your metal, we recommend using Dawn Dishwashing Liquid as the final step before applying the JAX Aluminum Blackener. 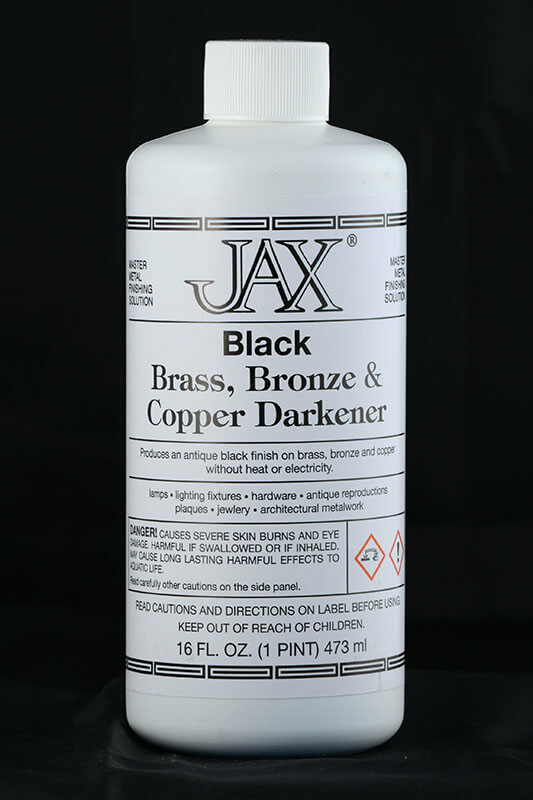 Use a bristle brush, sponge or rag and apply the JAX Aluminum Blackener directly to the metal. You may also dip the entire object into the solution. However, do not leave the metal in the solution, or the solution on the metal, for longer than necessary. 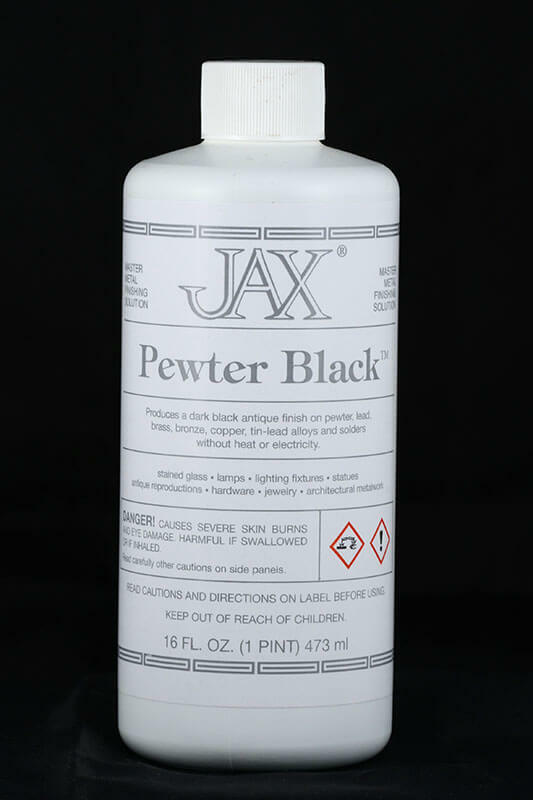 If the metal is clean, the JAX Aluminum Blackener will work quickly. If left for too long the Aluminum Blackener will rub off the metal easily. Practice and experience will help you find the right timing for your work. 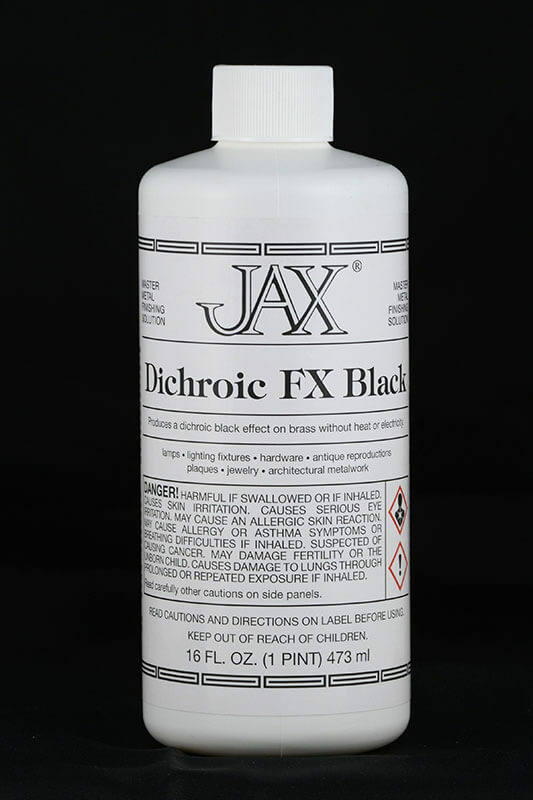 Do NOT dilute the JAX Aluminum Blackener. At this point, you may use steel wool, a polishing cloth or Scotch-Brite to achieve your desired finish. 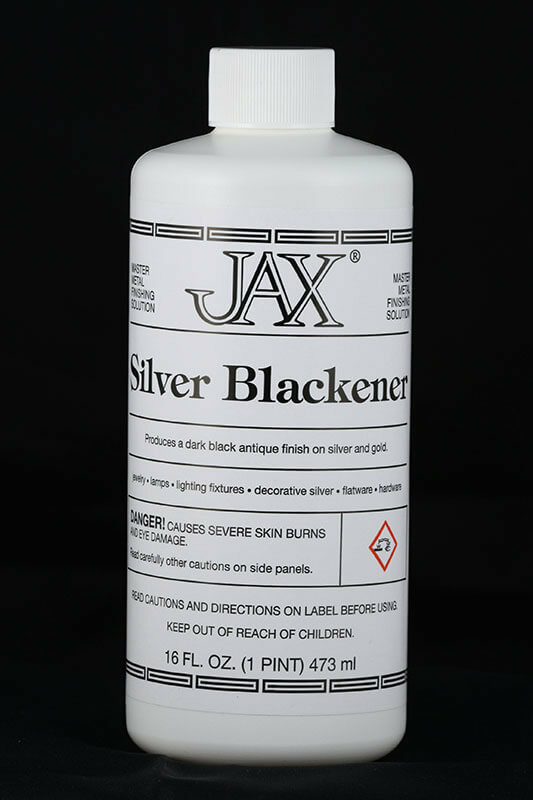 If you remove too much of the blackened finish, you may reapply the JAX Aluminum Blackener and start over. If you seek to duplicate a particular finish, over-darken the metal and then “relieve” it with steel wool or a polishing cloth, as above. Once you are happy with your finish, you may wax, oil or lacquer the metal as a final step, although in many cases leaving the metal “unprotected” may be desirable. 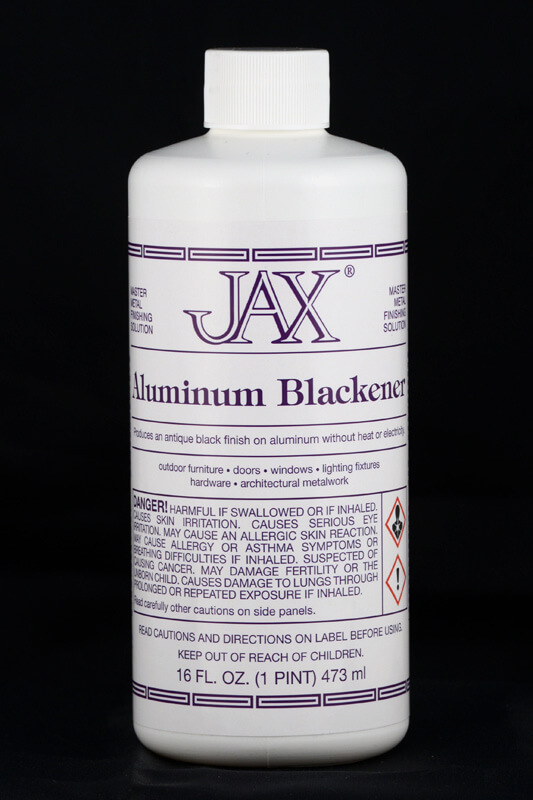 It is always advisable to test JAX Aluminum Blackener in a small inconspicuous area to make sure that it does not adversely affect or damage the surface being treated.